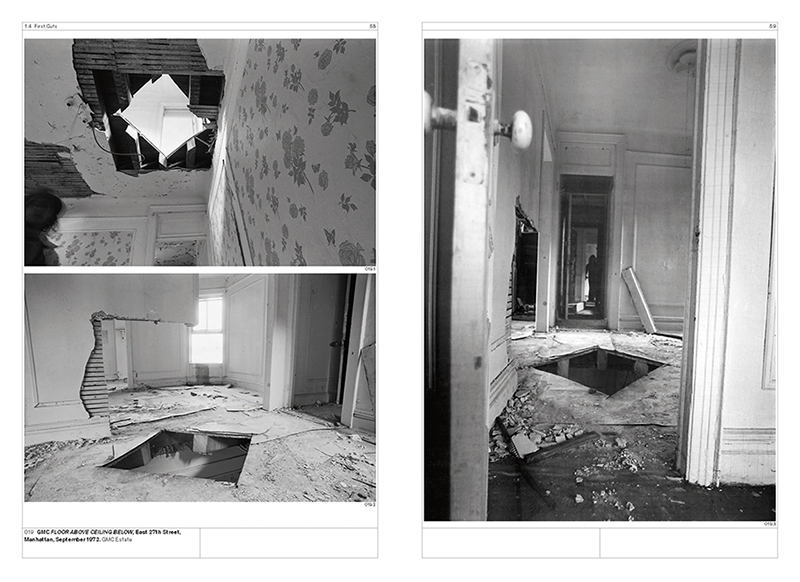 Gordon Matta-Clark, who died way too young in 1978 at the age of 35, is a favorite of architects, if for no other reason than the way used buildings as canvases. But were the buildings that he sliced up before they were demolished the art? 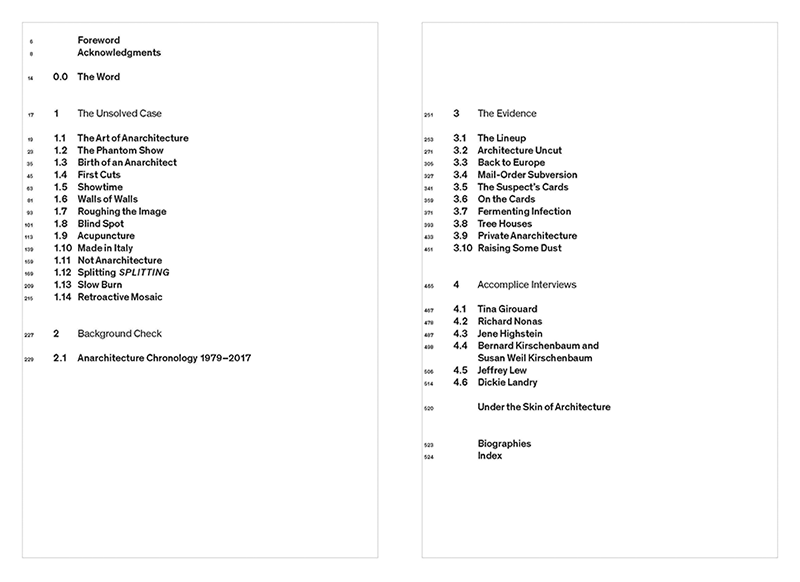 Or was it the photographs documenting the relatively short lives (relative to the time span of the buildings he cut up) of his interventions? Or going further, was it his preparatory notes and sketches? 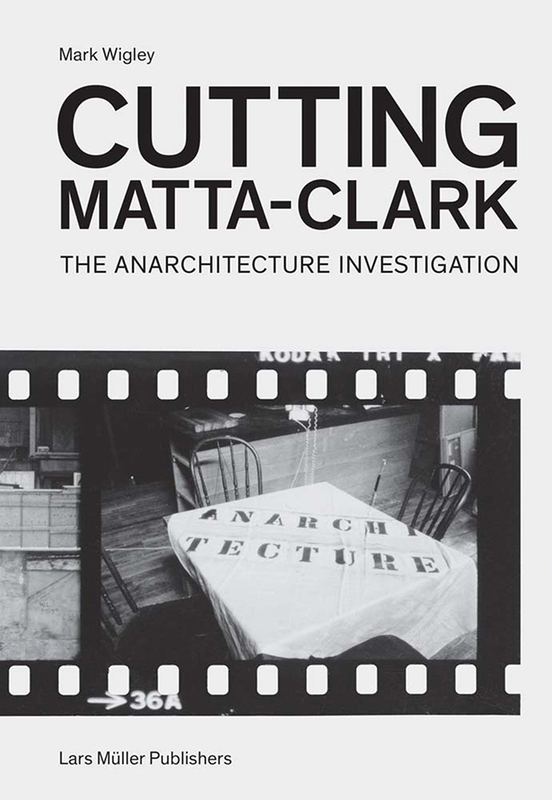 One answer, filtered through Mark Wigley's thorough yet circuitous and at-times perplexing investigation of a 1974 exhibition that involved Matta-Clark is yes, his art was all of these things. 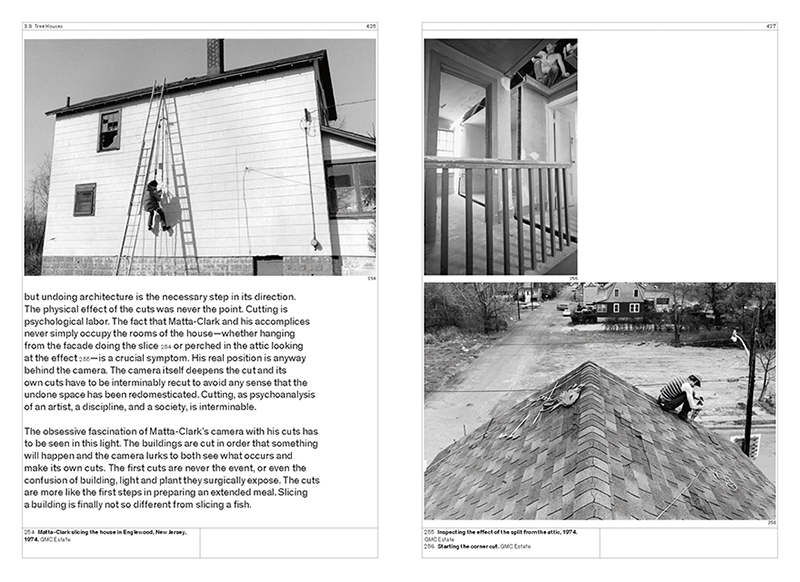 The buildings are gone, but the photographs (the primary way people become familiar with and envision his art) remain as do the preparatory materials and other artifacts in the archives of the Canadian Centre for Architecture, which Wigley raided for his forensic investigation. 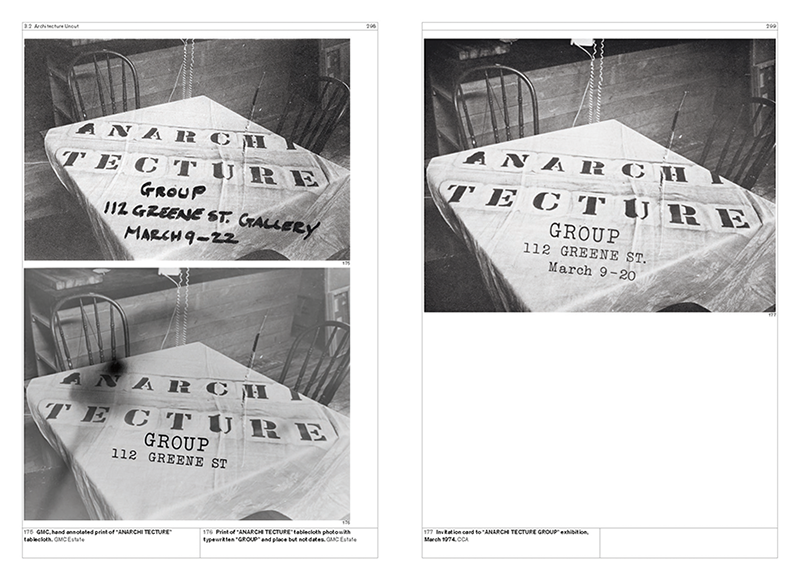 The exhibition that is the subject of Wigley's book -- and the source of its perplexity -- is Anarchitecture, a group show at 112 Greene Street in New York's SoHo area in 1974. Turns out there is voluminous evidence of the exhibition's preparation and promotion but none that it ever took place. What was the exhibition like? What is the meaning of its name and how did it end up labeling Matta-Clark's art to such a great degree? And did it actually happen? The show and the mystery surrounding it is are excuses for Wigley's scouring of CCA's archives, unearthing of "evidence," and interviews with "accomplices," but they also allow him to run through many of Matta-Clark's artworks (especially the famous Splitting) that led up to the Anarchitecture show, as he does in the book's first section. While following Wigley's prose is for die-hard Matta-Clark fans, the hundreds of illustrations make for a revealing look at an artist who still holds our attention, even though he's now been dead longer than he lived. Mark Wigley is professor of architecture at Columbia University. He was born in New Zealand, trained there as an architect then as an architect then as a scholar, and is based in New York.